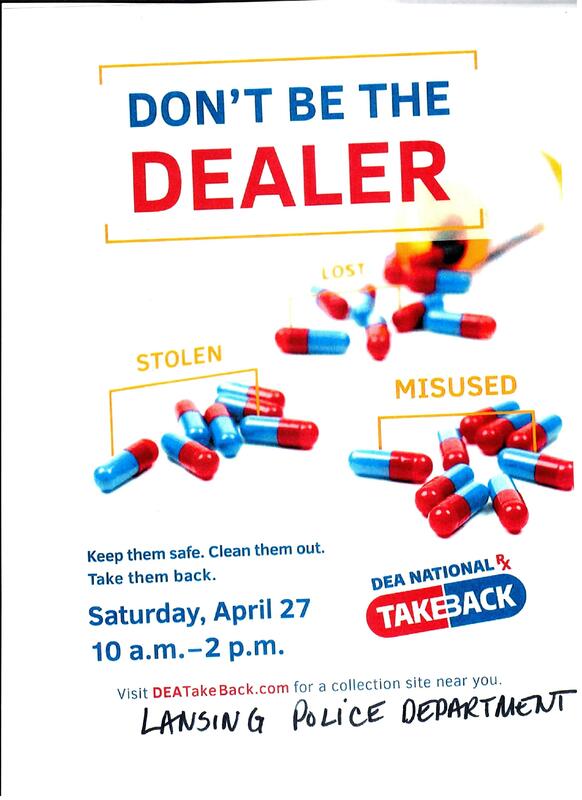 Please see the flyer below with information on the Lansing Police Department's DEA Drug Take Back Initiative Day to be held on Saturday, April 27th from 10 a.m. to 2 p.m. As in the past, residents may bring any unused or unwanted medications to the Lansing Police Department to be safely disposed of. The address for drop-offs is 2710 170th St. The LPD respectfully asks that no needles or liquids be dropped in the disposal boxes.